I want to try more gluten-free options. I made a gluten free cake a couple weeks ago and I never got to take a photo of it because it was inhaled by my friends... So I'll have to make it again (I'm sure no one will complain about this) but I've been trying other new recipes instead. This is a banana almond tart, no flour, no butter, no oil... It was rather delicious! 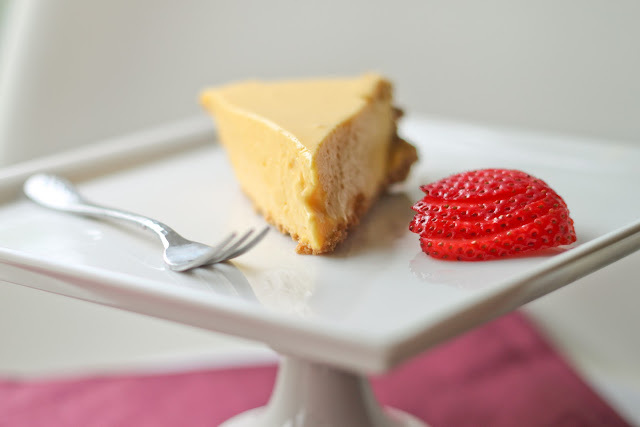 Perfect with tea or coffee. One side of the pan was slightly overdone so next time I need to remember to rotate the tart pan halfway through the baking time. And it's a one bowl recipe which is always nice. I would also like to put other kinds of nuts in the tart next time, just for the hell of it. I do love the banana/macadamia combo! Preheat the oven to 300 degrees F. Puree the banana and the lemon together and stir in all the other ingredients to the bowl. 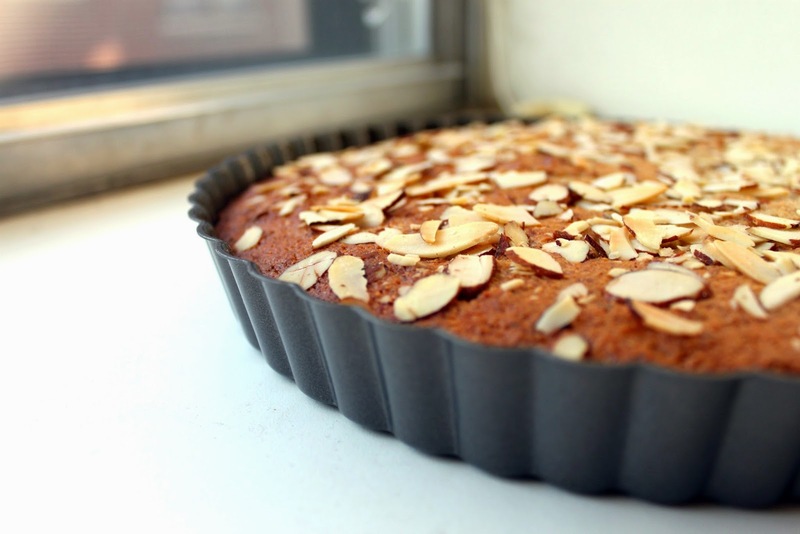 Pour into a tart or cake pan and sprinkle the sliced almonds on top. Bake for 40-50 minutes or till it looks golden.